Rental car agency selects OpenDNS Enterprise to eradicate malware on its rapidly growing network and ensure employees are protected from unsafe and inappropriate Internet content. OpenDNS, the world's largest and fastest-growing provider of Internet security and DNS services that deliver a safer, faster and more intelligent Internet experience to everyone, today announced E-Z Rent-A-Car is using OpenDNS Enterprise, the preferred solution of retail organizations around the world. 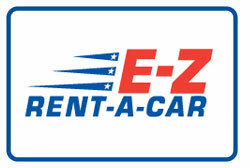 E-Z Rent-A-Car, a rapidly-growing rental car company focused on providing the best value and service to its customers, selected OpenDNS Enterprise because the solution is the best fit for organizations that require easy-to-manage cloud-based security for multiple locations. Prior to deploying OpenDNS Enterprise, the E-Z Rent-A-Car IT team was pouring significant resources into eradicating malware, as it was becoming an increasingly alarming threat on the network. The team was using a patchwork of DNS whitelists and firewall workarounds. They quickly realized that they needed a more powerful solution. However, they also needed to be able to easily manage the solution for 15 locations distributed across nine states. After exploring several other solutions, E-Z Rent-A-Car selected OpenDNS Enterprise because it offers powerful malware protection, an easy-to-deploy and manage platform and the lowest total cost of ownership. “We looked at Barracuda’s Web filtering offerings but ultimately found OpenDNS Enterprise to be more cost-effective and easier to use, plus it blocks malware at the source so we’re not cleaning up infections,” said E-Z Rent-A-Car Systems Administrator Michael Adams. OpenDNS Enterprise is uniquely capable of preventing both inbound malware downloads and outbound botnet communications. Since employees can’t access sites known to host malware, they can’t download nasty infections. Additionally, OpenDNS Enterprise protects all devices accessing the E-Z Rent-A-Car network, so even if an employee brings a personal device such as a laptop or iPad that is already infected, the malware can’t communicate back to command and control. The E-Z Rent-A-Car team also selected cloud-based OpenDNS Enterprise because the Web-based Dashboard and remote management capabilities make it easy to configure updates across all locations, copy over network settings to new sites and manage the network from anywhere.